If you are a student in the Faculty of Arts, all of your Arts courses should be auto-populated. For each Activity that you did in a course, check off the box beside the appropriate course. Once a course is linked/added to an activity, that course will now appear under the Courses menu item on your home page. 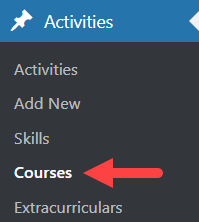 When the course is linked/added to more than one activity, all of those activities will appear when that course is selected from the list of Courses on the home page. For non-Arts courses, and any courses you are registered in and/or have taken but which don’t appear, you can manually add them. Arts courses are pre-populated into your site as basic course codes. 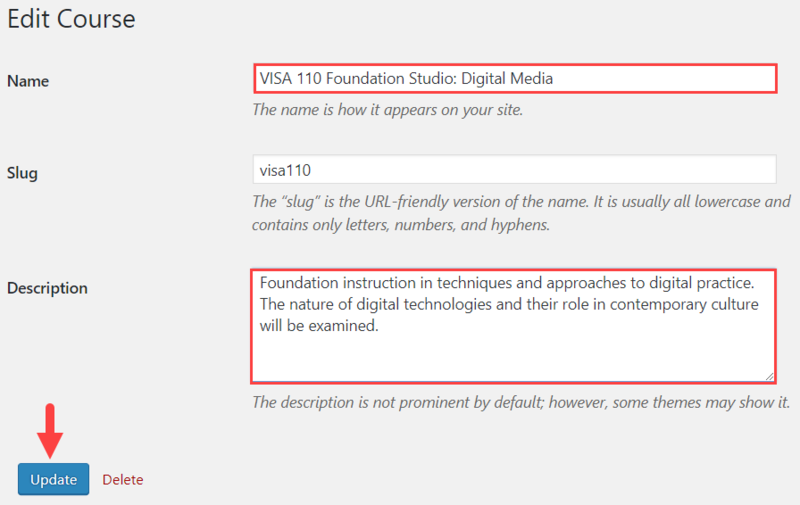 To provide context and meaning for your audience, it is recommended for you to edit the course name and description. Description – Describe the course. Only Arts courses are pre-populated into your site, however you can manually add other courses as well. Description – Describe the skill, your level of expertise, how it is useful in relation to your audience, etc. 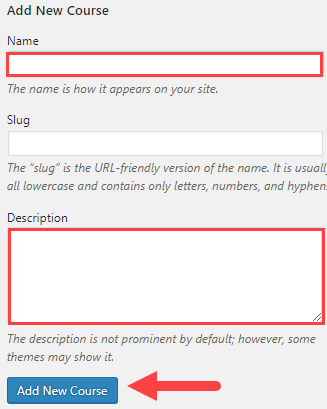 Note: Courses will only appear listed under Courses on your website menu if they are checked off when adding/editing an Activity. Example: Go to christayeung.ubcarts.ca, scroll down to the courses section on the home page. The descriptions appear below the course heading.